London is currently celebrating all things Indian, chiefly due to the V&A's India Festival and landmark textile exhibition The Fabric of India, which I'm visiting later this week - can't wait! (I'll be writing a post about it next week). 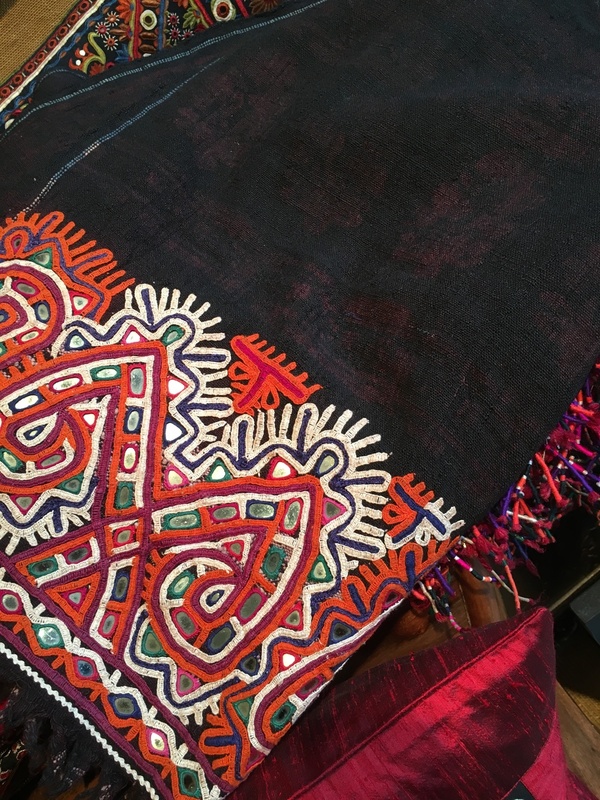 But recently Graham and I paid a visit to a small exhibition at Joss Graham's gallery, focussed on textiles and costume from Kutch, the area of western Gujarat where our artisan weavers and embroiderers are based, or originate from. Joss Graham opened his shop in central London in 1980. It has become a destination for collectors, travellers, interior designers and all those who have a passion for handmade textiles and costume from around the world. 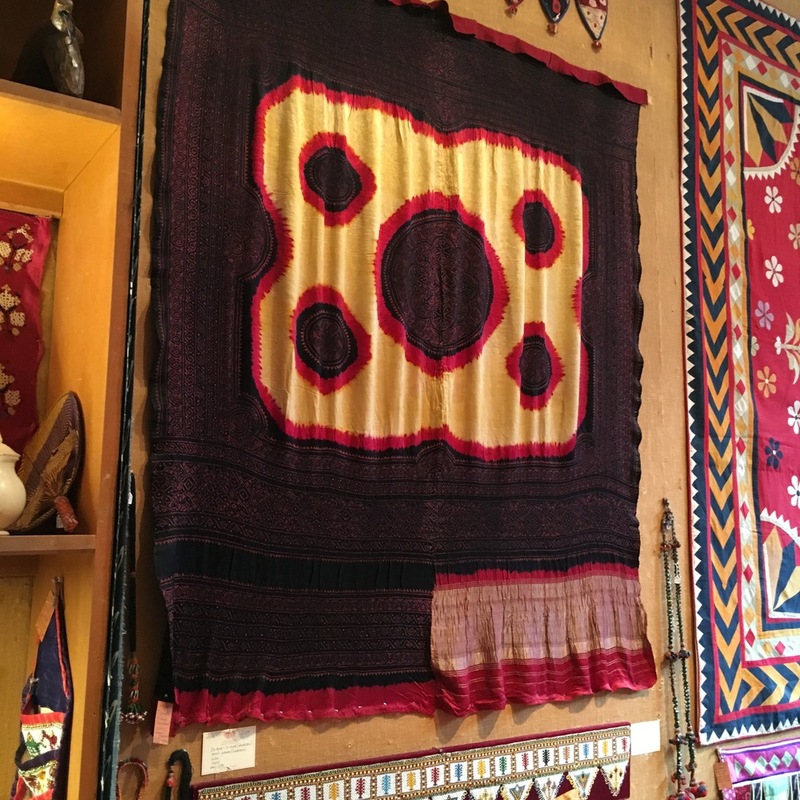 Joss still travels extensively, and his gallery specialises in textiles from the Indian subcontinent, Central Asia, Tibet, North and West Africa. 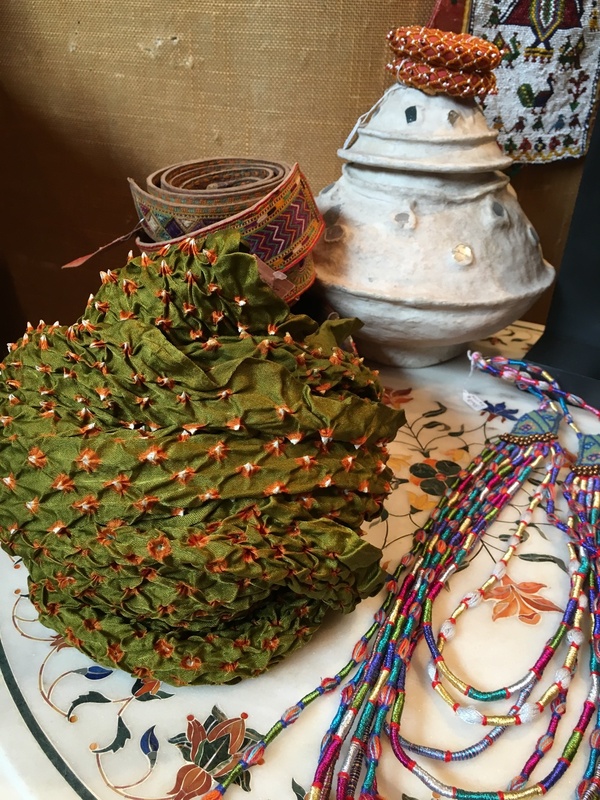 Over the years, the collection has expanded to include paintings, wood and stone sculpture, ceramics, baskets and jewellery. He also stocks contemporary design-led production from the same areas. The textiles on show as part of this exhibition show the rich diversity of skills still alive in the region - particularly embroidery, quilting, block-printing and tie-dye - but which are increasingly under threat from the import of cheap man-made fabrics and dyestuffs and, of course, rural depopulation. 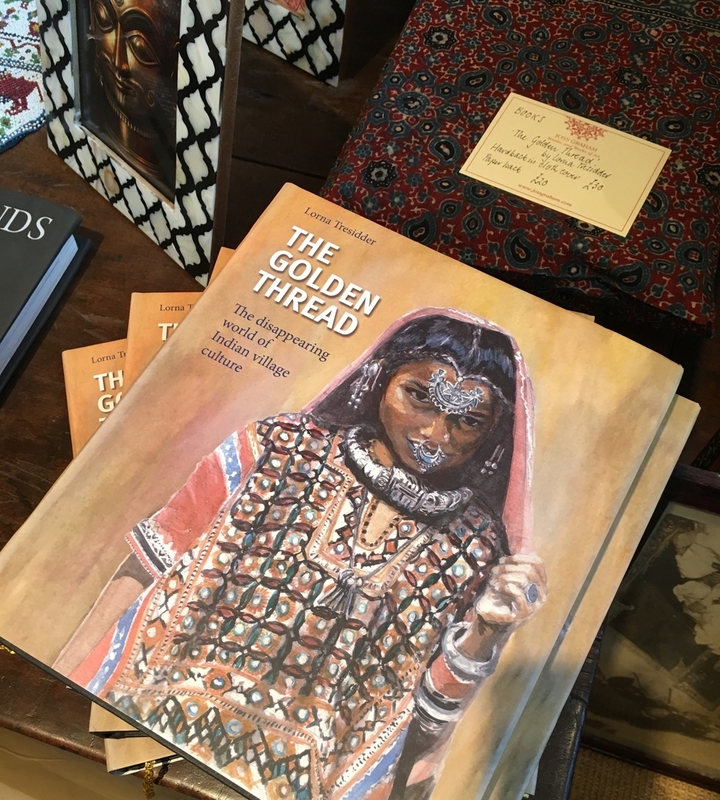 Also available are signed copies of Lorna Tresidder's book The Golden Thread - The Disappearing World of Indian Village Culture, an account of the author's time spent living in Kutch, studying the local embroidery and its interwoven cultural significance. The book is richly illustrated with Tresidder's original watercolours. Read Joss Graham's book review on the Selvedge blog. Looking through the window - the embroidered skirt features popular peacock images . 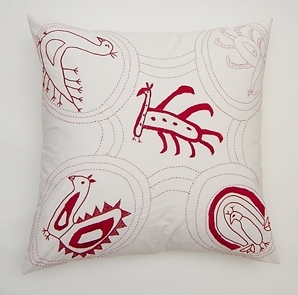 This motif was the inspiration behind Stitch by Stitch's first Peacock Sportif collection (see image below).